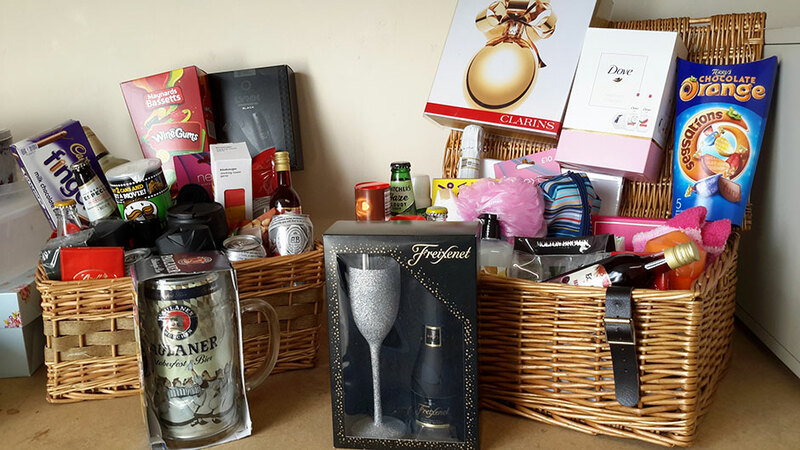 It wasn’t just about cakes though, there was also a fun treasure hunt and two beautiful hampers up for auction. Don’t those hampers look amazing!? Our lovely, (if slightly nuts, Frank), won the men’s hamper and after removing his favourite beer, he offered it back for auction. Thank you Frank, a lovely gesture. Corrine won the ladies hamper which just looks divine and Beverley won the treasure hunt, lucky ladies! We did of course have a special badge of honour for the best cake creation. 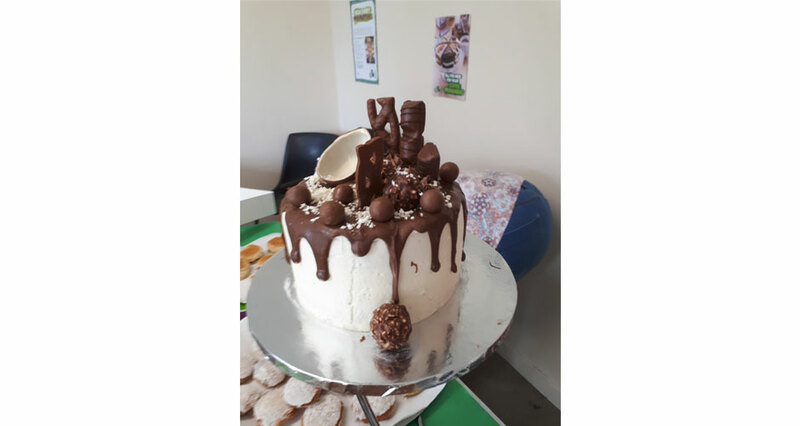 After much deliberation, we had to award this to Danielle, for her cupcakes and amazing ‘chocolate creation’. Truly inspirational Danielle, well done! After all the monies were collected in, our total raised was a fantastic, £310.75! 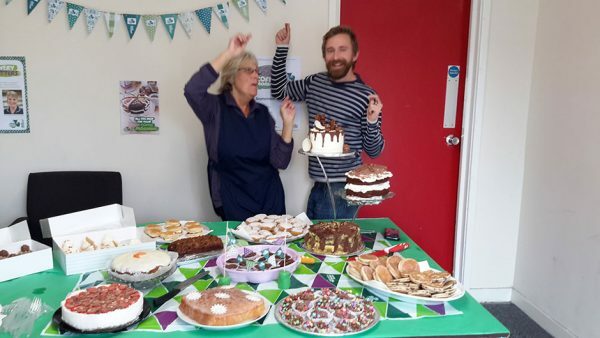 Thank you to Clare for organising all of this, and to everyone who baked, ate, drank, treasure hunted and bidded, you should be well and truly proud of yourselves. If all of those gorgeous cake images have got your tastebuds going, why not have a try at making traditional Welsh cakes? 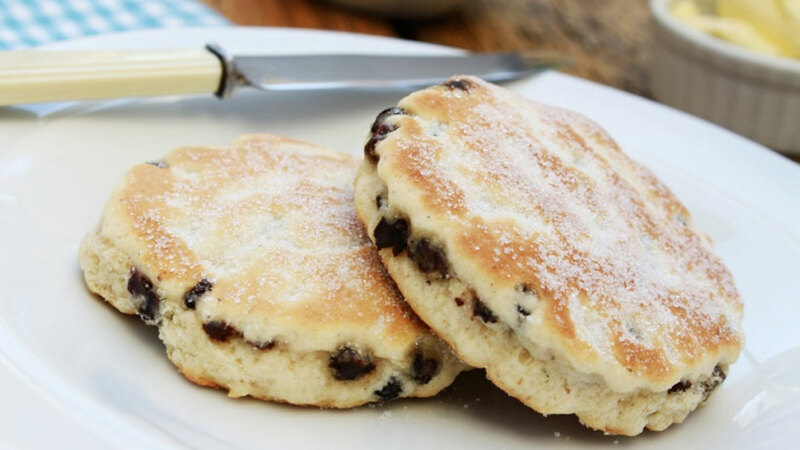 Our lovely Linda’s Welsh cakes have rave reviews and we have her recipe right here, so get baking! Welsh cakes are best eaten on the same day but can be warmed up the next day if required. Roll out dough on lightly floured board to thickness of your little finger!